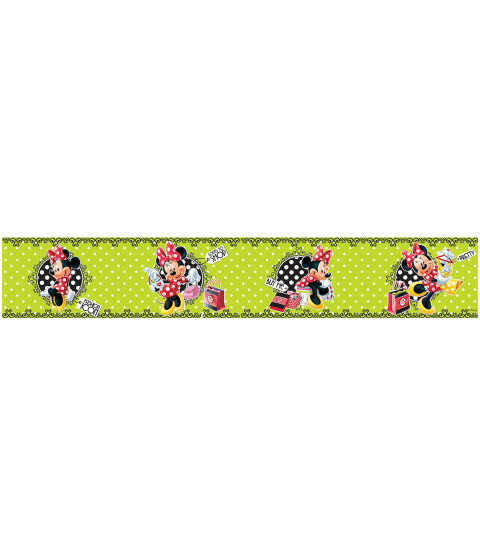 Create a Minnie Mouse themed room with minimal fuss and effort with this official wallpaper border. The self adhesive backing makes the border incredibly easy to apply, with no need for messy glue or paste. It can also be removed at a later date without marking the surface below. The cute design features Minnie and has a green, white and black polka dot theme.